The Calla, also known as Zantedeschia, is a very elegant flower. The shape of the flower is quite unuasal and it exist in all kind of colours. For more information,. keep reading..
Calla's can be planted outdoors in the ground, but with any possible frost it would be better to plant them in a container. They can either withstand sun or shade, but a place with halfshade has the preference. 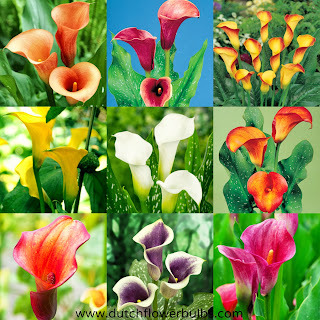 Calla's love to stand in a good and moisted soil. Make sure when you plant the bulbs in direct sunlight during the hot summerdays that you provide the bulbs with plenty of water! 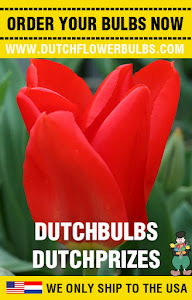 In case you gave to much water to your bulbs it will all absorb this and drain it through the points of the leaves. It looks like your Calla's are crying. Watch out when this happens in your home, because it will create stains in your livingroom.